A VERY heartfelt thank you to all who contributed gifts for our Heartland Alliance adopted family this holiday. Together, we delivered 60+ toys and necessities to a family of four in our community –– all thanks to your support! In addition to home & bath necessities for Mom (32), we supplied her kiddos (Boy 13, Boy 8, Girl 6 – all honor students) with warm gloves, stylish new clothes, new sheets, and many new toys, games and trinkets. A super special thank you to the team at Heartland Alliance and their Independent Supportive Housing program for coordinating such an impactful program and seamless delivery experience. 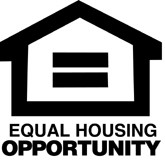 Heartland Alliance’s mission is “Equity. Opportunity. For All.” and “believes society is better for everyone when all of us can participate, prosper, and reach our full potential. The family we adopted is part of Heartland Alliance’s Independent Supportive Housing (ISH) Program. ISH provides supportive permanent housing for homeless, HIV positive, single individuals and families who are disabled by HIV/AIDS or other conditions. Participants are housed in scattered-site apartments throughout the city of Chicago and are required to pay 30 percent of their income toward rent. In addition to permanent housing, the program provides case management and referrals to primary and mental health care and other supportive services.